Evaluation of sinus floor augmentation with simultaneous implant placement using platelet-rich fibrin as sole grafting material. Tajima N, Ohba S, Sawase T, Asahina I. Int J Oral Maxillofac Implants. 2013 Jan-Feb;28(1):77-83. Assessment of skeletal stability of intraoral vertical ramus osteotomy with one-day maxillary-mandibular fixation followed by early jaw exercise. Ohba S, Tasaki H, Tobita T, Minamizato T, Kawasaki T, Motooka N, Watanabe E, Yoshida N,Asahina I. J Craniomaxillofac Surg. 2013 Jan 21. doi:pii: S1010-5182(12)00271-5. In vivo comparison of the bone regeneration capability of human bone marrow concentrates vs. platelet-rich plasma. Zhong W, Sumita Y, Ohba S, Kawasaki T, Nagai K, Ma G, Asahina I. PLoS One. 2012;7(7):e40833. Formation of engineered bone with adipose stromal cells from buccal fat pad. Shiraishi T, Sumita Y, Wakamastu Y, Nagai K, Asahina I. J Dent Res. 2012 Jun;91(6):592-7. Predictive factor for photodynamic therapy effects on oral squamous cell carcinoma and oral epithelial dysplasia. Uehara M, Ikeda H, Nonaka M, Sumita Y, Nanashima A, Nonaka T, Asahina I. Arch Oral Biol. 2011 Nov;56(11):1366-72. Engineering bone formation from human dental pulp- and periodontal ligament-derived cells. 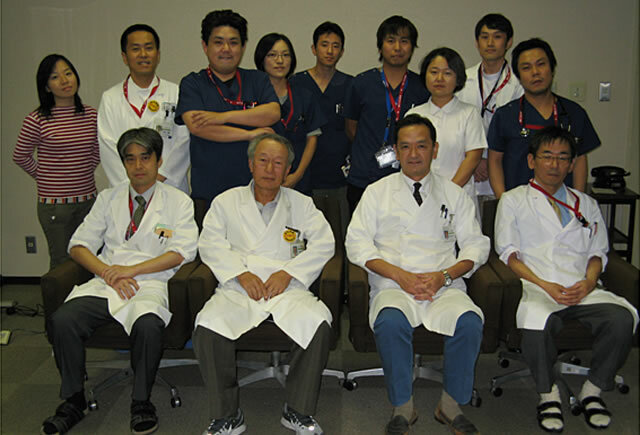 Ikeda H, Sumita Y, Ikeda M, Ikeda H, Okumura T, Sakai E, Nishimura M, Asahina I. Ann Biomed Eng. 2011 Jan;39(1):26-34. Antitumor effects on primary tumor and metastatic lymph nodes by superselective intra-arterial concurrent chemoradiotherapy for oral cancer. Uehara M, Shiraishi T, Tobita T, Nonaka M, Asahina I. Oral Surg Oral Med Oral Pathol Oral Radiol Endod. 2010 Aug;110(2):172-7. Characteristic change and loss of in vivo osteogenic abilities of human bone marrow stromal cells during passage. Agata H, Asahina I, Watanabe N, Ishii Y, Kubo N, Ohshima S, Yamazaki M, Tojo A, Kagami H. Tissue Eng Part A. 2010 Feb;16(2):663-73.